A US startup with ambitious plans to build “the world’s first smartphone you can wear like a bracelet” is seeking investment on crowdfunding site Indiegogo. EmoPulse’s Smile smartphone watch prototype includes support for NFC payments, with plans to allow users to store banks cards, club and discount cards as well as mobile keys and tickets for public transport. The device includes a flexible colour touchscreen display, 4G connectivity, WiFi, Bluetooth 4.0, USB 3.0, Thunderbolt, voice recognition, and is equipped with no less than three cameras. An OMAP 5 processor drives the Smile, which will come with either 128 or 256GB of memory. 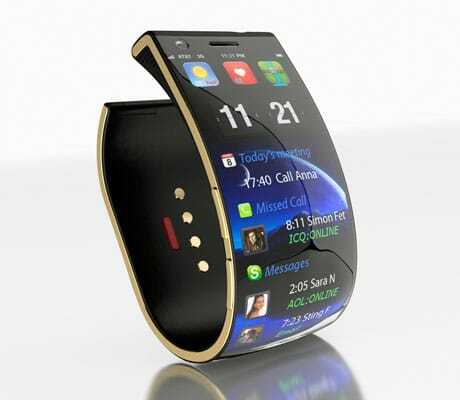 The company is seeking funding of US$300,000, which will allow the smartphone watch to go into mass production in December this year.